Healthcare workers in intensive care units regularly miss hand hygiene opportunities, according to a study presented at this month's European Congress of Clinical Microbiology and Infectious Diseases meeting in Amsterdam, Netherlands. Researchers from the Roy J. and Lucille A. Carver College of Medicine in Iowa City, Iowa, studied data from the "Strategies to Reduce Transmission of Antimicrobial Resistant Bacteria in Intensive Care Units" study. They identified task transitions, which they defined at two consecutive patient care tasks, and examined hand hygiene opportunities. They examined 3,246 hours of observation in ICUs at 18 U.S. facilities between December 2005 and August 2006. The researchers found that general compliance with hand hygiene protocols was low, and healthcare workers moved from dirtier to cleaner patient care tasks in two-thirds of the task transitions recorded. The workers moved from cleaner to dirtier tasks in only a third of the task transitions. When moving from dirtier to cleaner tasks, healthcare workers performed proper hand hygiene only about 50 percent of the time. The study revealed that physicians were 50 percent more likely to move from dirtier to cleaner tasks than nurses. 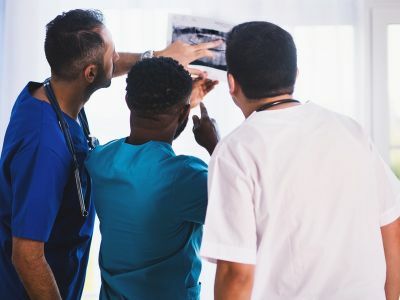 Other healthcare workers, such as radiology technicians and respiratory therapists, were more than twice as likely to move from dirtier to cleaner tasks. The researchers cautioned that healthcare worker behavior might have been influenced by the presence of observers.